UNESCO Award That Was Meant For Rosmah Has Been Removed, Here's Why. 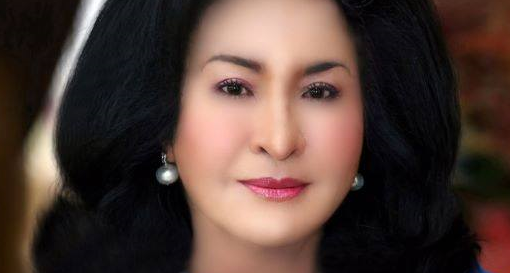 Recently, Datin Seri Rosmah Mansor made headlines after reports that she will be the recipient of a prestigious award by UNESCO in conjunction with the 71st United Nations General Assembly. However, there have been recent statements that contradict this announcement. It was reported that Permata, the programme dedicated to early childhood education in Malaysia which was supposed to be the recipient of the ‘Lead by Example’ Award from the Antiquities Coalition has now been removed from the list of honourees. This was confirmed by Andy Beck, the spokesperson for Antiquities Coalition, who are the actual organisers of the event. “Contrary to erroneous reports, the event is not a Unesco event, nor is Unesco giving the awards,” he said in an email clarification. The award presentation ceremony that will be held this coming Thursday at the Metropolitan Museum of Arts in New York was in conjunction with ‘A Tribute to Heroes in the Global Campaign Against Violent Extremism’. Among the scheduled honorees was Datin Rosmah for her work with Permata. The event is said to be co-hosted by the head of Unesco, Irina Bokova, which has contributed to the confusion that this award was initiated by Unesco. According to New York Times, the last minute cancellation of the award was made due to concerns about its links to Malaysia’s first lady, whose family is mired in corruption allegations. Professor Tudor Parfitt, a scholar involved in the event, had provided a statement declaring the reasoning behind the withdrawal. Following inaccurate leaks of the committee’s recommendations, the organisation had been questioned on the sources of funding for Permata by members of the media. On an academic point of view, the organisation found there was no immediate way to verify the funding behind Permata, and that they were unaware of any specific wrongdoing. “However, we do not wish this important event to be dominated by anything other than the issue of how to mobilise and unite people in the fight against violent extremism,” he said. As of the time of writing, no further statement from either side has been given.